Provide new ideas, tools and strategies. The team challenges and creates opportunities for volunteers, interns, students and churches for local and international missions as they take the gospel everywhere even to the un-reached people groups. New Life Training Curriculum (NLTC) is a training tool which enables Christians to be built up in their faith, share their faith and lead believers to maturity in the church. 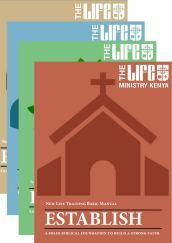 It is a 4-step program that takes between 3- 6 months held at various centres across Kenya. Multiplying Church Communities Training (MC2) is a simple, transferable, modul training through which we are trusting God to help participants establish and multiply churches and communities in a variety of target groups It has four phases. 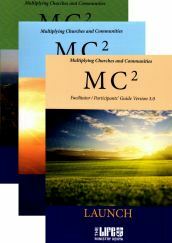 The MC2 product is a Spirit-filled leader who multiplies healthy churches and communities in a movement context. We measure success at the fourth generation.